Saturday morning gave us beautiful weather for ballooning! Here is a 2-minute and 40second "snapshot" of the sunrise mass ascension that day. 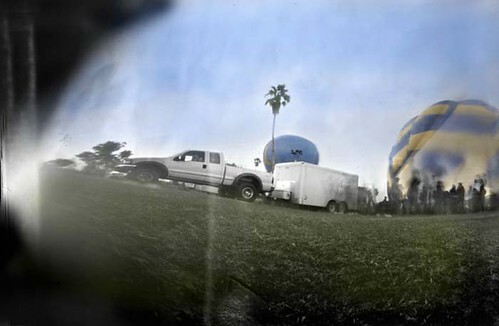 Two of the balloons managed to hold enough still in the field of view, for the paint can cam to capture them. The balloon on the far right was busy inflating at the time.